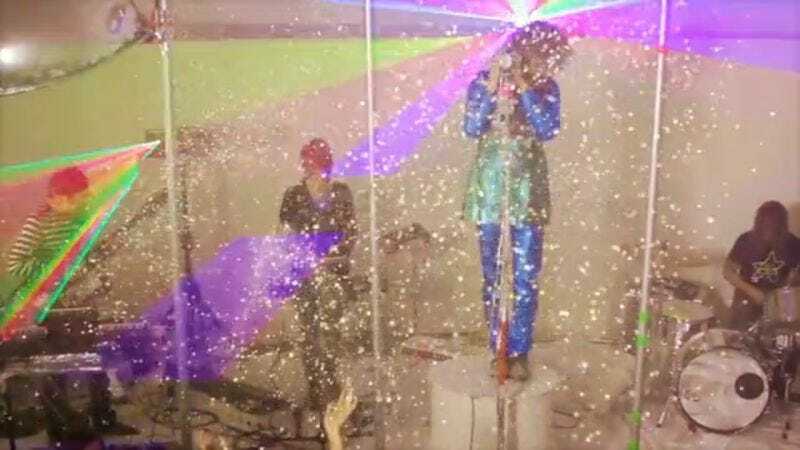 Not a band to ever be outdone by its own weirdness, The Flaming Lips just premiered a sparkly video for their super-psychedelic version of Devo’s “Gates of Steel.” If it has a similar vibe to their video for The Terror’s “Turning Violent” that came out last week, it’s because they filmed both of them on the same day, on the same stage, with the same people and the same outfits. There are no plans as of yet to release the song as a single, and it’s not on any records, but the video was made to promote the group's upcoming tour with Tame Impala. A full list of dates is below the video.